The side panels are a little stiff to remove, as they rely on notches and rails. That said, they're rather sturdy and have little flex or wobble when not attached. 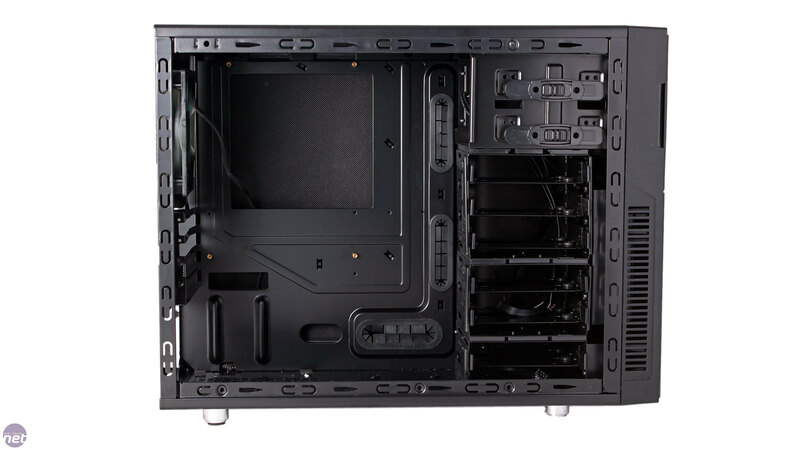 Inside you'll find a classic ATX layout (on the smaller micro-ATX scale), so you should feel right at home working with this case. The front panel also pulls off easily enough, but annoyingly it brings the I/O cables with it, so it doesn't come cleanly away. However, doing so reveals the excellent Nanoxia fan mounts that we've seen before. 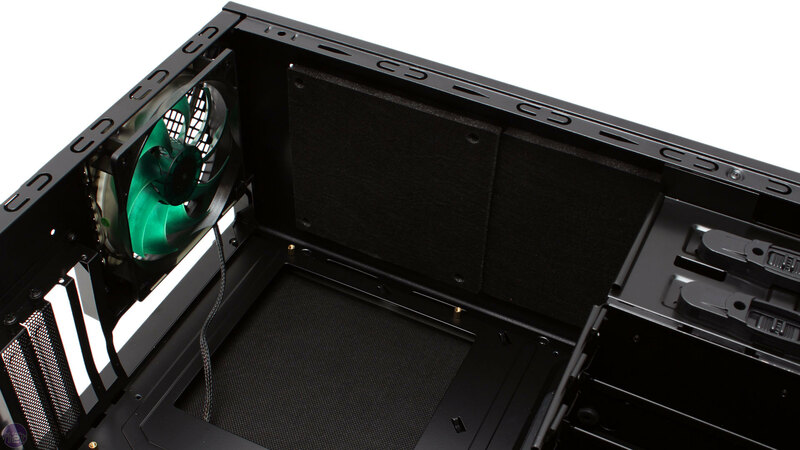 The fan is housed inside its own door, which opens with some simple push-pins allowing you to mount and unmount fans with ease. It's also covered by its own dust filter which can be slid out for simple cleaning. It's really an excellent design, which makes it even more of a shame that you have to remove the front panel just to access it – a door here would have been preferable. As we've quickly come to expect from Nanoxia, both the build quality and the attention to detail on the inside is very good. 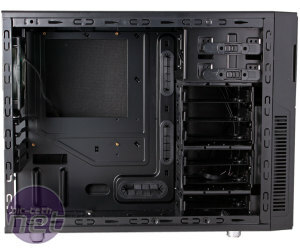 The CPU cutout on the motherboard is well sized and the PCI brackets each have thumbscrews on. The internal cables are all sleeved in black, and the 3-pin plugs from the fan controller are all labelled so you can quickly identify which fans you're connecting to each channel. 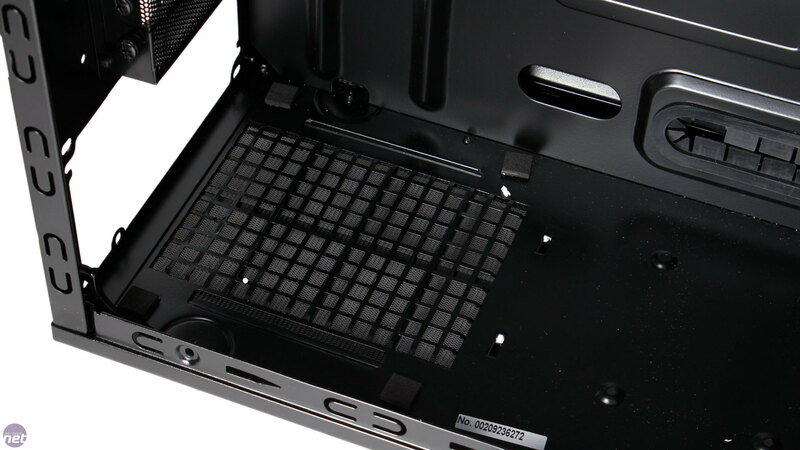 Noise dampening has been considered from all angles too – anti-vibration rubber is found supporting the PSU and on the internal drive mounts, and Nanoxia even provides a pair of circular plugs which you can use to completely close off the holes in the rear of the chassis that are designed for use with external water-cooling. 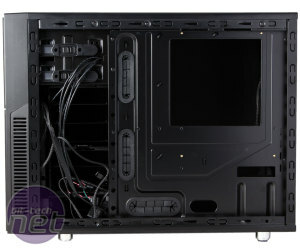 The cable routing holes are well placed, and conveniently there are ones along the top edge of the motherboard tray too. However, the holes themselves are rather small, and the rubber grommets came off too easily, with thick power cables enough to dislodge them. With flat, foam-backed side panels and a relatively slim case as it is, it can be quite tight trying to cram everything behind the motherboard tray too, though it still isn't much of a struggle to build a tidy system. 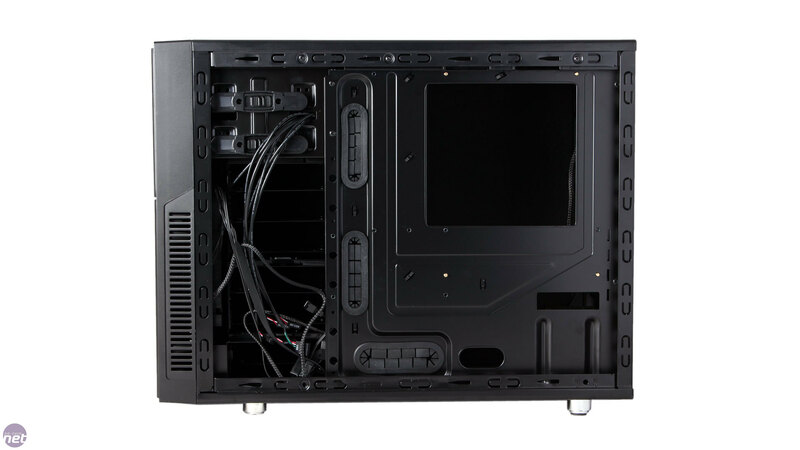 Despite the micro-ATX proportions, Nanoxia has found room for six internal 3.5-inch/2.5-inch drive bays and two 5.25-inch ones. 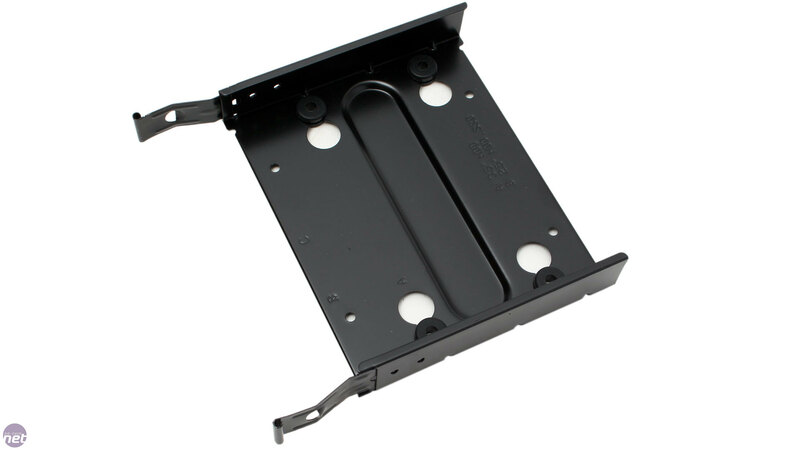 There's also an extra 2.5-inch on the case floor, so all in all it has just one less drive mount that the larger Fractal Design Arc Mini R2, which utilises space behind the motherboard tray to fit two extra 2.5-inch drives rather than just one. The Deep Silence 4's six solid metal drive sleds are split between three cages with space for three, two and one. 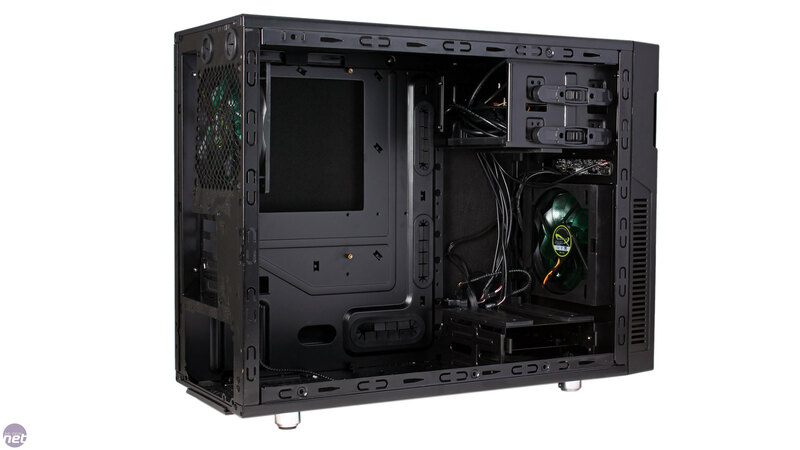 The larger two of these are removable and modular, which allows you to clear space behind the front fan and install longer graphics cards (all the way up to a whopping 395mm). The singular drive cage at the bottom is rivetted in place, but it doesn't impede the fan at all. Tool free clips on the optical drive mounts make installing such drives a simple task, though screws can be used as well if you want a tighter fit. 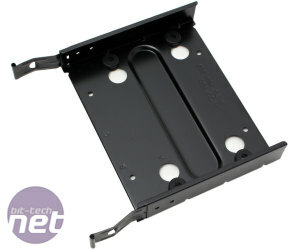 Both HDDs and SSDs require screws, but the drive trays themselves slot in and out of the side facing cages with ease. Overall, our impressions of the Deep Silence 4's interior are positive, but there's one area in which it is quite severely lacking, especially when compared to Fractal's Arc Mini R2, and that's water-cooling support. 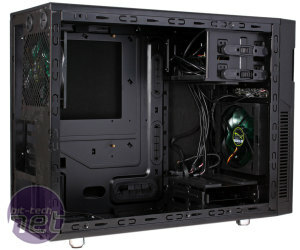 Fractal's case is admittedly larger, but not by much, and with just three fan mounts in the Deep Silence 4, you're limited to single radiators only out of the box. This is pretty disappointing when you consider that in the Fractal case you can house double and even triple radiators with ease. 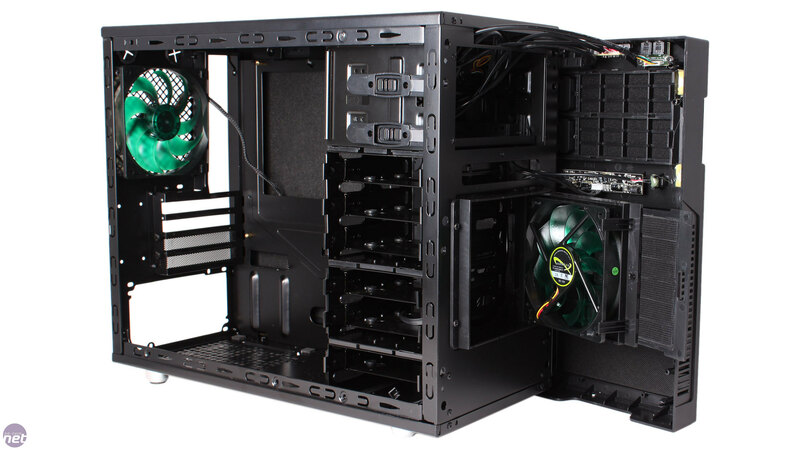 Even double radiator all-in-one coolers like the H100i won't fit here – for us, support for these products is almost mandatory in a case of this size, and there's little reason Nanoxia couldn't have added a secondary 120mm fan mount in the roof to accommodate them. If you're handy with a Dremel, there's room for expansion, but the Deep Silence 4 was evidently designed only with air-cooling in mind.